Located in South-west London, Richmond is one of the larger places in the city. At Blue Skip London, we do everything in our power to reach out to the entire population of the city, and Richmond is one of the areas we extend our offer to. Our Richmond clients can expect a full range of services, from skip hires to waste removals and yard space. We specialise in construction waste, but we can also help you get rid of any problematic waste such as electronic equipment. With a great variety of skips to choose from, with Blue Skip you have access to one of the most versatile services on the market. We all try to keep clean, but even if we always make sure that every speck of your home or office is clean, rubbish will pile up eventually. There comes a point when hiring a professional is really the best thing you can do in order to get rid of all that waste in a simple yet effective way. We can be that professional for you. 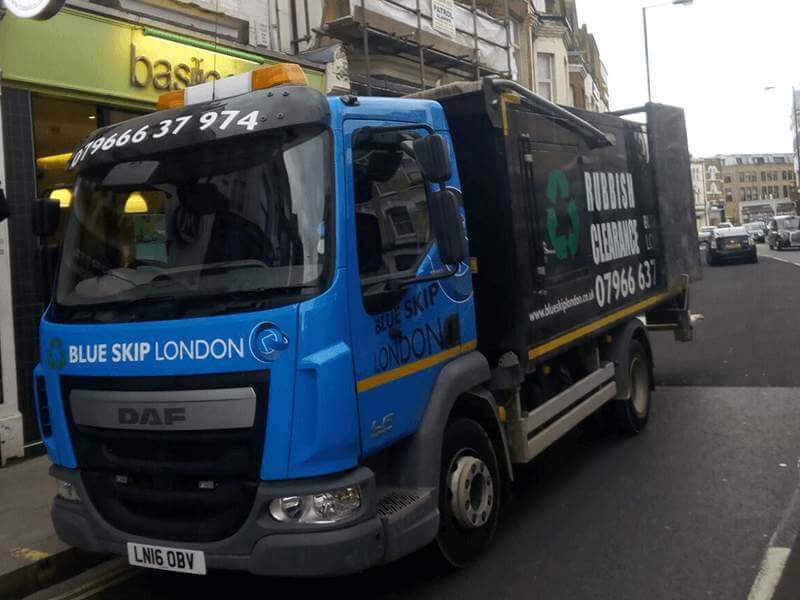 Blue Skip London offers some of the best rubbish removal services available in TW9 Richmond. We’re a trusted company listed on the council website (https://www.gov.uk/). We provide an extensive range of waste removal services for private homes, gardens, offices, construction and demolition sites, and more, removing various types of rubbish from any area. Our experienced team knows exactly how to make short work of any rubbish. 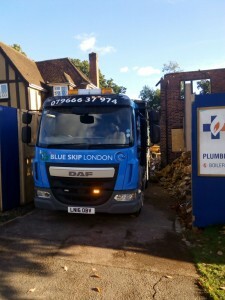 Blue Skip London offers a great professional rubbish removal service all around Richmond, TW9. We provide a waste management service that is of incredibly high quality – it is fast, reliable, and incredibly thorough. At the same time, it has one of the best prices available in the area. No matter how you look at it, whether you’re a private home owner or are looking for a way to clean up your office, no matter how much or how little waste you have, you can always count on us to help you out – just call 07966637974! Call Us Today – We’ll Send Dependable TW9 Waste Clearance Specialists Your Way! 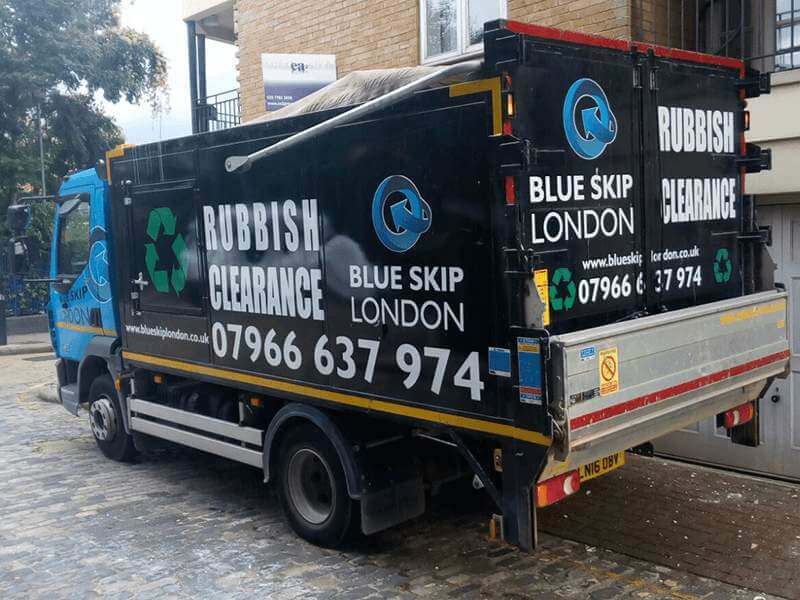 If you live in Richmond and need help of a reliable rubbish clearance specialist, look no further than Blue Skip London. Our waste collection specialists have many years of experience in the field, providing clients in the TW9 area a service that can truly be trusted. With us, you can save time, effort, and money, because even though our services are of top quality, we don’t overcharge, offering some of the best prices on the market, with no hidden fees to speak of. Call us today and find out just how much you can save! Blue Skip London Offers the Best Rubbish Removal for Your TW9 Richmond Property! 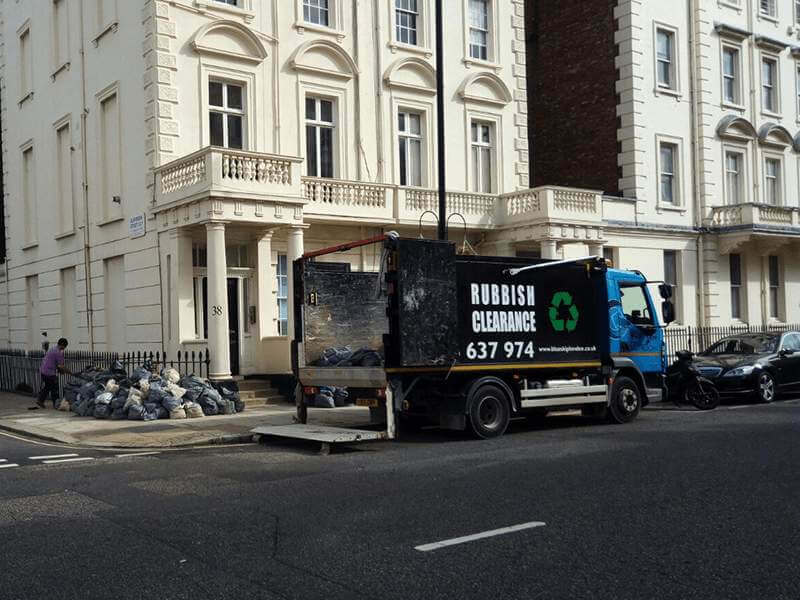 With rubbish removal services offered by Blue Skip London, you can be sure you’ll receive the best quality of service available in TW9 Richmond. No other company in the area offers a service as reliable as ours. Whether it’s your home, office, or construction site, you can count on us to clear it up quickly, reliably, and for a low price, all thanks to the hard work of our experts who know exactly how to handle any waste collection project. Call us today and find out what we can do for you! Blue Skip provided a level of waste collection services that exceeded all of our expectations. We can fully recommend Blue Skip London to anyone who needs to have their waste cleared quickly and efficiently – they get the job done! With Blue Skip’s help, we managed to finally get our flat in order without incident! What we can do for you in Richmond?